I came to Rossport today as part of a delegation of Socialist Party members to support the community and the Shell to Sea campaign against an unsafe onshore high pressure pipeline being and to protest against the giveaway of our natural gas and oil resources to multinationals like Shell. I have witnessed and experienced the Garda violence that is used against protestors on a daily basis. I participated in a peaceful sit-down protest in front of a truck used by Shell that had been mounted by a protester. In order to remove our peaceful sit-down protest, the Gardai used a level of violence deliberately designed to inflict pain on the protestors. 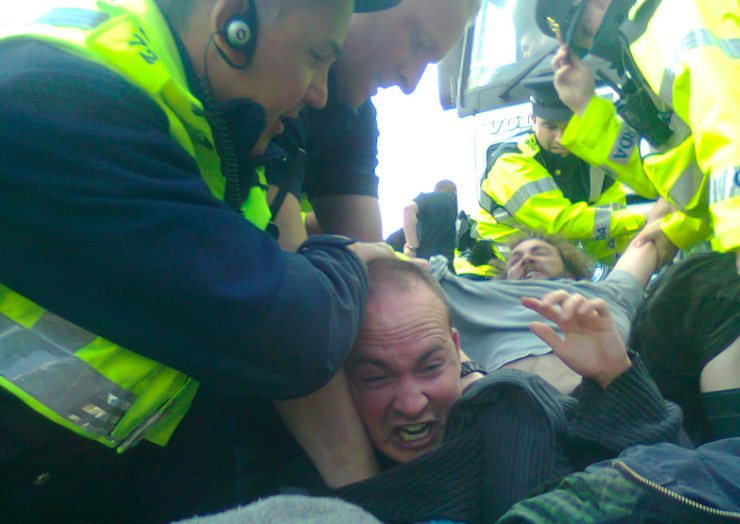 The Gardai repeatedly called for each other to target protesters’ pressure points. What this meant was made clear when my left ear was twisted repeatedly to the point of excruciating pain and I was repeatedly poked beneath the ribs in a sensitive area causing significant pain. I was also hit in the head and was violently dragged and pulled in such a manner as to rip my jumper. I was not the only peaceful protestor to be targeted with this level of violence, other participants in the sit-down protest were treated similarly. It is a very sinister development that the Gardai are openly targeting so-called pressure points. This is a deliberate attempt to inflict significant pain on protesters to get them to give up the protest and to discourage them from participating in future protests. This development, which is a continuation of the Garda brutality which the people of the area have been subjected to for years, must be condemned. 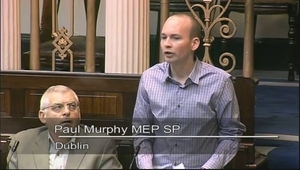 I call for an immediate and full public investigation, involving representatives of the community and the trade union movement, into the behaviour of the Gardai in Rossport over the last number of years. Posted in Misc on 9:59 pm by August 25, 2011 .